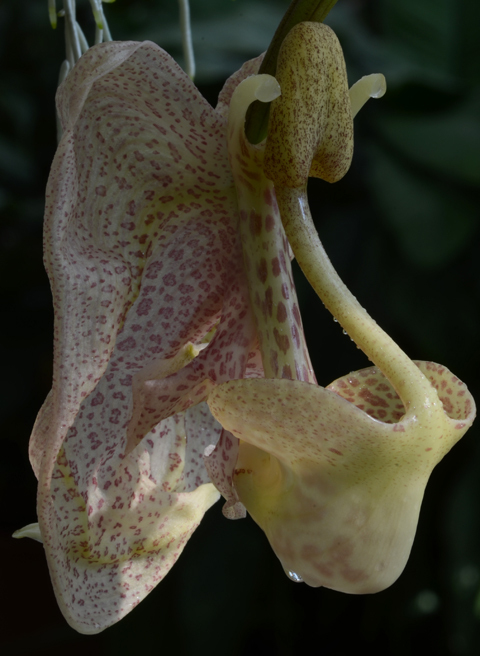 In case you were starting to think (based on my photos thus far) that all Coryanthes (Bucket Orchid) flowers are huge and grotesque, meet Coryanthes macrocorys. 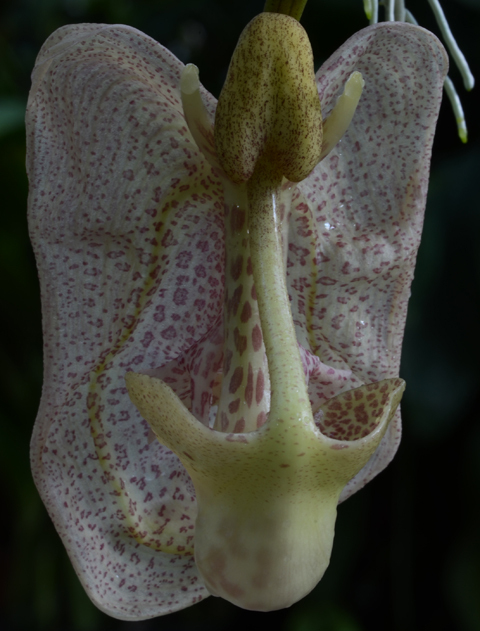 Above is a half opened flower, its spotted sepals reflexed backwards like angel wings. So much beauty...totally love the incredibly diversity in orchids!